When Angela and Andre Christian Pitre met in the summer of 2015, there was an instant connection. At the time Angela and her two children from a previous relationship were living in Tennessee but moved to Apopka, FL to start a brand new life. After getting married, Angela and Andre faced some difficult financial challenges, but by their first anniversary they were in a much better position and began talking about expanding their family. As they started planning for a baby, Hurricane Irma hit. Eight weeks later they learned they were going to have a HURRICANE BABY!! They were thrilled to be pregnant so easily and at 8 weeks went for a confirmation ultrasound. During their test, the technician confirmed… TWINS! They were over the moon at the idea of welcoming two new babies into their family. Then the doctor delivered news that would change everything… the twins were conjoined. The Pitre's were immediately referred to a Maternal Fetal Medicine (MFM) Specialist that confirmed what they had already been told, that indeed the twins were conjoined. They had so many questions, fears, and doubts, but decided to put their faith in God and their medical team to embark on this new journey. Conjoined twins occur one in every 200,000 pregnancies. Of those pregnancies, only about 40-60 percent survive to birth. Approximately half are stillborn, and an additional one-third die within 24 hours. Conjoined twins share a single common chorion, placenta, and amniotic sac. A few weeks later during the next ultrasound, Angela and Andre were surprised to learn that the twins were sharing a liver and intestines, which was the best case scenario. If the twin girls were strong enough to survive the pregnancy, once born there was a strong chance they could safely be separated and ultimately grow up to live full happy lives. Over the next few months, Angela and Andre Christian attended many appointments with fetal specialists and pediatric surgeons. They also took hospital tours before finally ending up at Shands Children’s Hospital in Gainesville - over 100 miles from home. Shands is one of the few hospitals in the country that can say they ‘specialize’ in conjoined twins, as their pediatric team has had extensive experience in this area over the past few years. They were confident this was where God had led them to seek the proper care for their precious girls. They met with the doctors and came up with a plan to deliver the girls at Shands. Shortly after birth, they would be able to have all the necessary testing in order to prepare for the separation surgery. Things were progressing as expected until Angela began having contractions a few days earlier than scheduled. Thankfully, the Shands team was able to keep the babies safe and stop Angela’s contractions long enough to allow for all the specialists to be in place. This birth needed to be carefully orchestrated to give the girls the best chance of survival. At 9:55 am on May 15, 2018, Remi Lee Christina and Jesi Robyn Andrea were born. They were immediately taken to the NICU were the plan was to get the girls stable and after a month send them home to grow and get strong for separation surgery at around three months old. As their first month ended, it became clear that with all the preparation procedures and the complications, surrounded by nurses and doctors was the safest place for Remi and Jesi until their surgery. On July 23rd, 2018 at 8 am, 11-week-old Remi and Jesi were taken into surgery and after endless hours of waiting, Angela and Andre Christian received word that the separation was successful. Unfortunately, because of excessive swelling, the girls would need a second surgery to close the wounds left after their separation. The Pitres were hopeful but scared. In total, the sisters had seven surgeries and battled breathing, blood pressure and electrolyte issues. But thankfully in December, both girls were able to celebrate the holidays at home with their older siblings as a family. While Remi and Jesi were in the hospital, Andrea spent most of her time with them in Gainesville while Andre was home in Apopka with the older children, preparing for the twins discharge. He was able to find a new, larger home that would provide necessary space for all the equipment the twins would need once they arrived home. He did all he could to have everything ready but now they see that there are some important improvements they need to make to their home. The most important is the carpeted areas need to change to laminate flooring to make it easier for the girls to move around. They also need a few pieces of new furniture as there are allergens trapped in their furniture that are aggravating the girl’s lungs. It has been amazing having their daughters at home, but for Angela and Andre, it has also been overwhelming. Financially, the Pitres are doing the best they can but it has become increasingly difficult, with their biggest expense being medical deductibles/copays, childcare, and travel to and from Gainesville. Angela has gone back to work as she holds the insurance, however, insurance will not provide the twins with an in-home health aide. After weighing all their options, it was decided the best thing for the girls was for Andre Christian to stay home to be their full-time caregiver, thus offering the twins consistency of care. After Ride to Give read Remi and Jesi’s story we knew we had to help elevate some of the overall financial burdens the Pitres are under. We are raising funds to replace the carpeted areas of their home as well as replace fabric furniture and assist in maintaining the home’s HVAC system. We are also helping to provide the $10,000 needed to cover the twins 2019 insurance deductibles. This will offer much-needed peace of mind to Angrla and Andre and allow them to more fully enjoy their family. 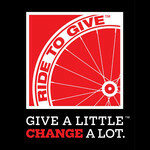 Please help us by making a tax-deductible donation to Ride to Give. You may follow Remi and Jesi's journey by joining the Facebook Group "The MerTwins Journey."